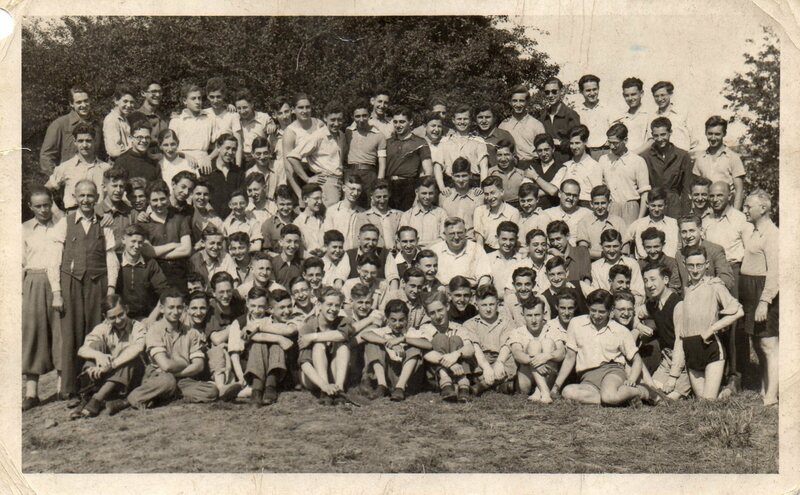 We have some more information coming in at the moment about the German Jewish training camps of the 1930s. These were often established and run by the same philanthropist groups that organised and funded Kitchener Camp. The idea was to give Jewish young people a practical skill-set – in industry or agriculture – to enable them to set up new lives elsewhere. We believe that about half the Berlin ORT got out to safety, right at the last minute – having been delayed and delayed for administrative reasons throughout 1939. Following these delays in the Minutes of the Council for German Jewry is unnerving, to say the least. The half that didn’t make it out to Kitchener did not survive the Holocaust, as far as we know. In due course the young men moved to Leeds to continue their training, but they did stay in Kitchener for some time before moving on when the building in Leeds was finally completed. I received a list of names of the Berlin ORT youngsters some time ago, and have only just had time this afternoon to go through it, comparing it to other records available online. After quite a few hours of work, it looks as though around 32 of the 96 names listed were interned in early summer 1940 and deported to Australia on the notorious HMT Dunera voyage – and then interned again in Australia. Most of these young men seem subsequently to have joined the Australian Pioneer Corps. Some of the others were interned under Leeds and Bradford police jurisdictions, and a few were deported to Canada on the same ship as some of the Kitchener men. Some, at least, were not interned.